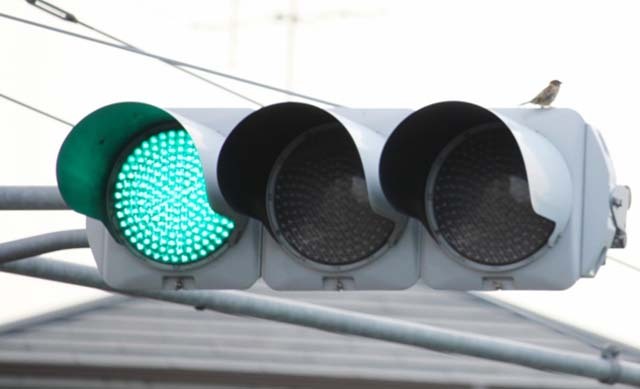 A newbie gaijin has learnt for the first time that a green traffic light is in fact blue. The groundbreaking finding shifted 2-months-a-gaijin Ivan Jones from Level 34 Gaijin to Level 35 Gaijin. “It’s blue, not green,” said newbie gaijin’s friend 19-year-old Yukiko Kawabata. “But it’s green,” replied Jones. “No, it’s blue in Japan,” said Kawabata. “But it’s actually green,” replied Jones. This conversation continued for about 30 seconds before an in-depth explanation of how there are different kanji for different blues. “The blue kanji for traffic light means green,” explained Kawabata. “So it is green then because the kanji means green,” replied Jones. “No, it’s blue,” said Kawabata. Jones decided to give up and focus on his courtship of Kawabata.